I thought that today would be the perfect time to share some recipes from the archives that could help you use up those Thanksgiving leftovers! For each of the above recipes, you can just sub your leftover turkey for the chicken. If you had ham, you can even use that in the skillet. What do you like to make with Thanksgiving leftovers? ~*~*~*~ Now It's Your Turn! Today I just want to share with you a few highlights from my Thanksgiving. Thursday was spent with just us and my parents. The men hunted, my mom and I finished cooking, the kids played, and then we had a delicious lunch of turkey, mashed potatoes, etc. Delish! And lots not forget the pie for dessert! YUM! Then the guys went back out hunting for a little while longer and the kids and my mom and I got to watch a wonderful movie called Christmas in Canaan. We had an absolute blast! Today was the day that we had the really big Thanksgiving meal, though. My sister and her family, my family and my parents all got together for another turkey with all the fixings, more pie and lots of family time. The kids even did these really cute Christmas crafts that I hope to be able to post a picture of later when I have more time. We even got to watch White Christmas (my favorite Christmas movie). What a great time! I just love time with the family! Right now, we are watching Robin Hood together and going to finish the last of our "leaves" for this month. It has definitely been a great weekend, and I am not looking forward to Monday in the least! 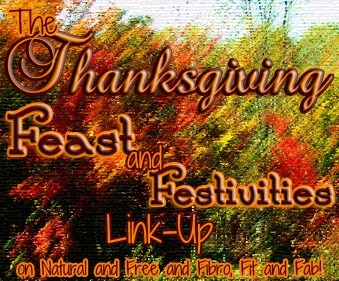 The Thanksgiving Feast and Festivities Link-Up ~ Happy Thanksgiving! Since I'm just about to head out the door to spend some time with my family, I don't have a lot of time, but wanted to share with you 2 pie recipes from the archives that would be a great addition to any holiday meal! Don't they look delicious? If you want to try making the Pecan Pie even more allergy-friendly, try some of the ingredient substitution ideas listed here. What is your "must have" for Thanksgiving dinner? Since I'm just about to head out the door to spend some time with my family, all I want to share with you today are some quotes about thankfulness. "When you rise in the morning, give thanks for the light, for your life, for your strength. Give thanks for your food and for the joy of living. 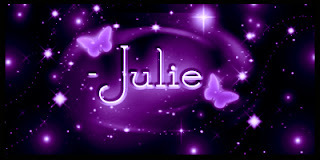 If you see no reason to give thanks, the fault lies in yourself." "The unthankful heart... discovers no mercies; but let the thankful heart sweep through the day and, as the magnet finds the iron, so it will find, in every hour, some heavenly blessings!" "The thankful receiver bears a plentiful harvest." Do you have any favorite Thanksgiving/Thankfulness quotes? What I want to share with you today is two of my favorite allergy-friendly recipes for Thanksgiving from the archives. These smoothies taste exactly like pumpkin pie sans the crust, and are a great alternative when you need something that is festive and fun that fits a wide-variety of allergy needs. My favorite side dish at Thanksgiving is Green Bean Casserole, so I was so thrilled to find a recipe that I could use that was allergy-friendly! It is so very good and easy, too! What I want to share with you today is our new Thankfulness tradition, that I plan on making a year round thing. 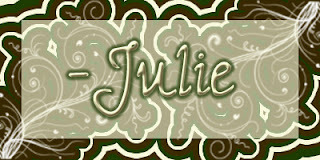 What I did was take some construction paper - a different color for each family member - and cut out some leaf shapes (you can find some great free patterns online - just Google "free leaf patterns" or something like that) for this month (I will use a shape that fits the season each month, i.e. candy canes or stockings for December, flowers for May). I then labeled each leaf with the appropriate family members name and the month and year (for example, my leaf color is brown, so on the brown leaves I wrote "Mom" and "November, 2013") so that we know, when we look through them later, what time of year it was and who was thankful for what. The plan, for now, is to read them together at the end of each month and to add to the pile as we need/want to. I am so glad that we have decided to do this. It truly is a blessing to think about your blessings! 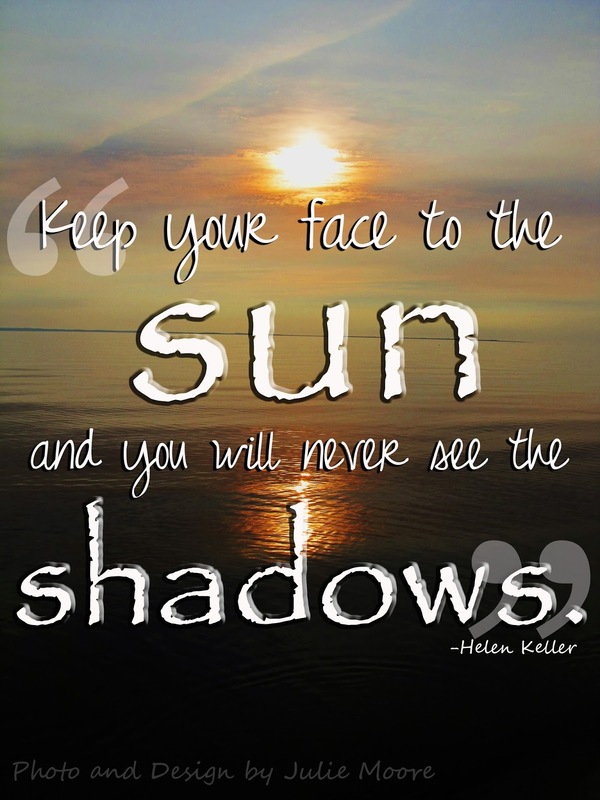 Do you do anything to help you count your blessings and help you focus on being grateful? Do you do it only during Thanksgiving/November or all year round? Do you have any Thanksgiving traditions? I don't know about you, but Saturdays are our work-around-the-house days, but they are also our sleep-in-and-have-a-big/special-breakfast/brunch-whenever-possible days, too. 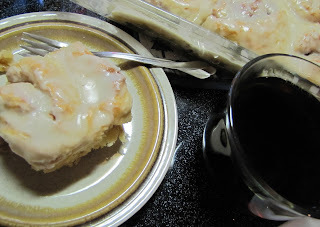 We didn't have a super big breakfast, but we did have a special one of (mostly) homemade, glazed cinnamon rolls. They were so good, I had to share the recipe with you! These cinnamon rolls are super easy to make thanks to the use of pizza crust for the rolls and melt-in-your-mouth wonderful, glazed with vanilla icing and filled with cinnamon-y goodness. They are great for the days you want to do something special for a crowd (this recipe makes 12 large rolls), but are short on time (these take about 45 minutes start to finish compared to 90 minutes+ for most cinnamon roll recipes). Did I mention they are super easy and next to impossible to mess up? Gotta love that! :) They are also soy-free if you use all soy-free ingredients, fish free, egg-free and nut-free, and can be milk and wheat-free (see variations). Yah, baby! This recipe is definitely a winner! 1. Preheat oven to 350﻿oF. 2. Grease a 13x9 glass pan with butter and set aside. 6. Stretch out dough to about a 12 inch by 24 inch rectangle. 7. Spread softened butter onto the top of the dough rectangle generously (amount of butter is up to you, but I normally use a whole stick, but you can definitely use less than that). 9. Roll the dough rectangle up horizontally so that you are left with a 24-inch long rope. 10. Cut the rope into approximately 12 pieces. 11. Arrange pieces so that you can see the swirls of dough and filling in the greased 13x9 pan. 13. While the rolls are baking, prepare the glaze portion. Mix butter, sugar, vanilla and salt until well-blended before adding the milk. The mixture should be thick, but if you find it too stiff, add more milk, 1 teaspoon at a time, until it is the right consistency. 14. When the rolls are done, immediately remove them from the oven and frost them with the glaze. You can enjoy these rolls right away or after they've cooled, whichever you prefer. Makes 12 large cinnamon rolls. Milk-Free: Use a dairy-free milk and dairy-free butter (such as Earth Balance and SoDelicious brands) and a dairy-free pizza crust mix or make your own dairy-free crust and cook as directed (You need enough crust to make four 12-inch pizzas.). Also, be sure to grease the pan with oil or a dairy-free butter. Wheat-Free: Use gluten-free crust mixes or make your own (enough for four 12-inch pizzas) and use a gluten-free flour to knead it in and bake as directed. Citrus or Fruit-Glazed Cinnamon Rolls: Use Orange Juice, lemon juice, lime juice, fruit juice, etc. in place of the milk in the glaze portion. You can omit the vanilla or not; your choice. If you want extra citrus or fruit flavor, you can also use warm citrus or fruit juice in place of the water in the roll portion. You can also use a mix of the juices, too. 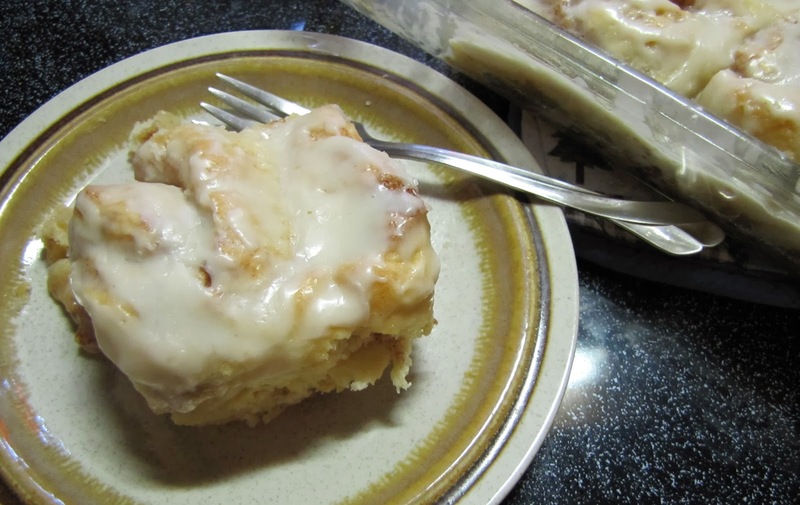 Cream Cheese-Glazed Cinnamon Rolls: If you prefer a cream cheese frosting and can have it, you may substitute it for the glaze listed. Chocolate-Glazed Cinnamon Rolls: If you really like chocolate and you can have it, you could glaze these rolls with chocolate frosting. Caramel-Glazed Cinnamon Rolls: If you really like caramel and you can have it, you could glaze these rolls with caramel frosting. Other Fillings: You can use a fruit spread in place of the cinnamon and sugars. You can even add nuts, seeds or raisins/dried fruit if you like them and can have them, though I would not use more than a Cup of add-ins. Smaller Rolls: If you don't like large cinnamon rolls, you can cut the dough into smaller pieces, between 18 and 24 pieces. If you do this, your cooking time will be on the lower end, maybe even under 20 minutes, so watch them closely! What if your favorite Saturday or weekend treat for breakfast? 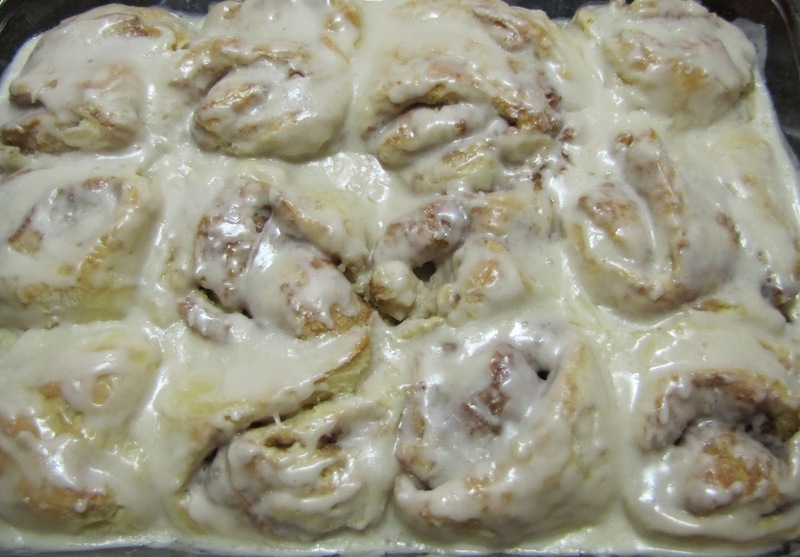 Do you prefer your cinnamon rolls glazed or plain? 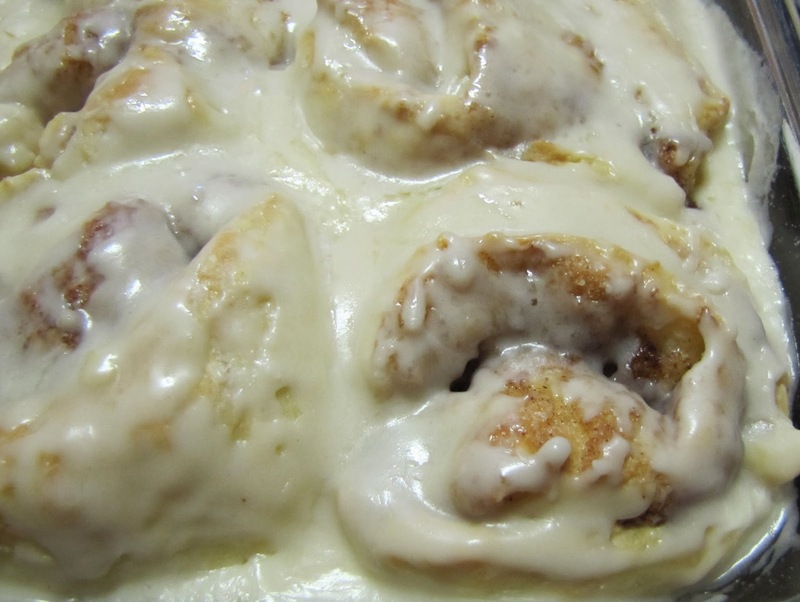 Do you prefer one large cinnamon roll or a few smaller ones? It is November, the thankful month. It is the month we all strive to think of others a little more, count our blessings and work to let our family and friends know how much they mean to us. However, why do we only do this in November? Why not do it year 'round? I know it is something I am trying to do; be grateful daily. When you have a good attitude and are always looking on the bright side, things don't look so bad or feel so dull or glum or hopeless. You can smile sincerely and enjoy life fully. Physical pain dulls, heartaches lessen, and life and God are truly good. It is the better side of the coin, the glass half full, the rose colored glasses, and it is wonderful. It is not easy, and there are the days where you must be practical or realistic and see that there is truly hurt in your heart and in your world or in the world of someone else you know, but when you are being thankful, that hurt is a little less because you see every good thing as a gift. You don't live as if you deserve good things, so when they come, you appreciate them and they touch you deeper, guarding your heart a little bit more like a shield so that when the sword of hurt, anger and disappointment comes it doesn't wound you as deeply. Sure, you still hurt, you still grieve, but you have your blessings, your gifts, still and you know that (eventually) you will be ok. I wish that I had the time to do what I did last year and do a thankfulness link-up every day in November until Thanksgiving, but I do not. 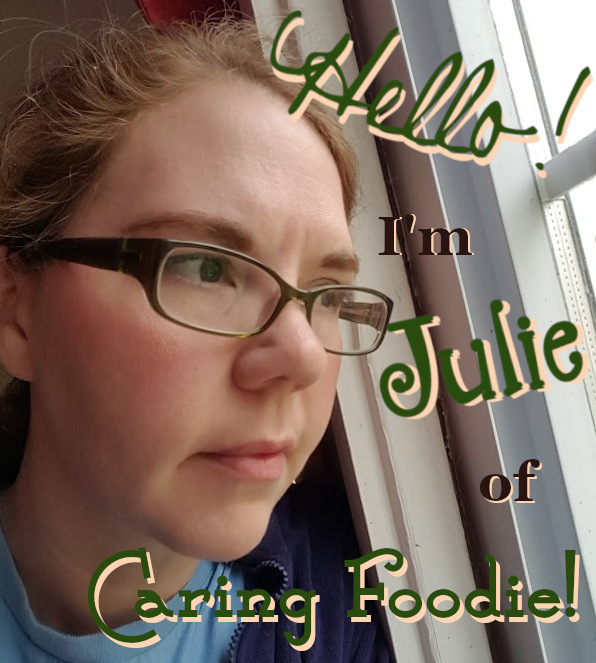 I am hoping to blog weekly about thankfulness, but (as you can see in my lack of being able to blog since October 16th, despite my best efforts) I cannot promise you that. What I would ask of you, though, dear blogger friend, is that you strive to find ways to express gratitude, not only this month (though that's an amazing start) but every day of the year. Keep a Thankfulness Journal, start a Thankfulness Tree or Thankfulness Wall or make a Thankfulness Box and work alongside me in trying to keep a spirit of thankfulness in your (our) homes, hearts, and lives. I know that my goal this coming week (today, hopefully) is to make a Thankfulness Wall/Tree and add to it throughout the month and share it with you as I can. I am hoping to have a designated spot that will be used year 'round that I can decorate according to season, but we'll see how much time I get. :) That's the goal, anyway. I hope you all have had an amazing start to your November. May it be an amazing one for you and may you learn to love more, feel blessed more and know that I am praying for you!